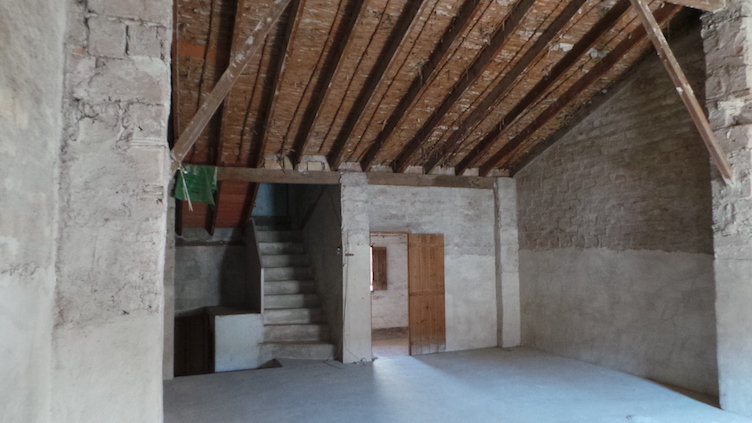 I decided I wanted a green kitchen for our Spanish town house the first time that we viewed it. 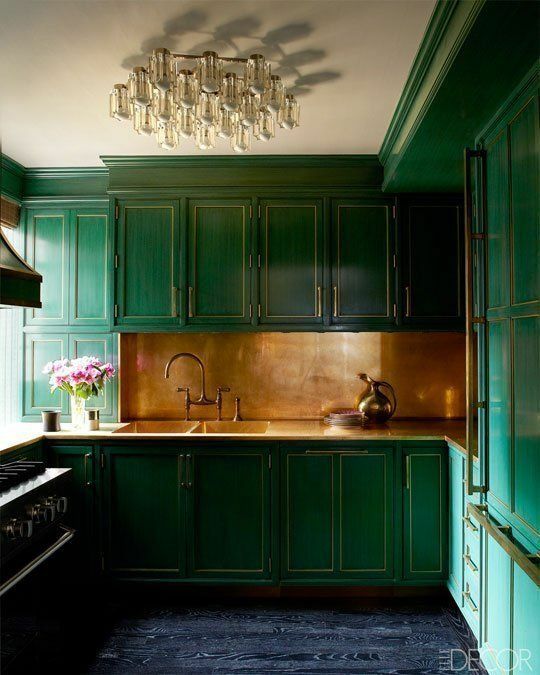 For a while now, I’ve had an image of mint and copper in my mind, although a very bright green kitchen also appeals. I’ve spent a fair bit of time pursuing the internet (namely pinterest) for inspiration and have found some stunning green kitchens. Here are some of my favourites so far, plus a picture of the green kitchen we’ve pretty much decided on buying for our 6th renovation project. A couple of weeks ago, an Australian friend of mine shared a video of Three Birds Renovations most recent makeover. Their kitchen is absolutely beautiful and is so similar to the ideas I’ve had swishing around in mind. To be fair, I almost believe I designed this kitchen myself. I love the light green colour. I love the gold/copper lights and handles. And I totally wish we had a big enough budget for this thick worktop. The sink and cooker aren’t quite where I would put them but thats about it. This kitchen, like the rest of the renovations this trio undertake is simply wonderful. If you haven’t seen their work already you should check it out! 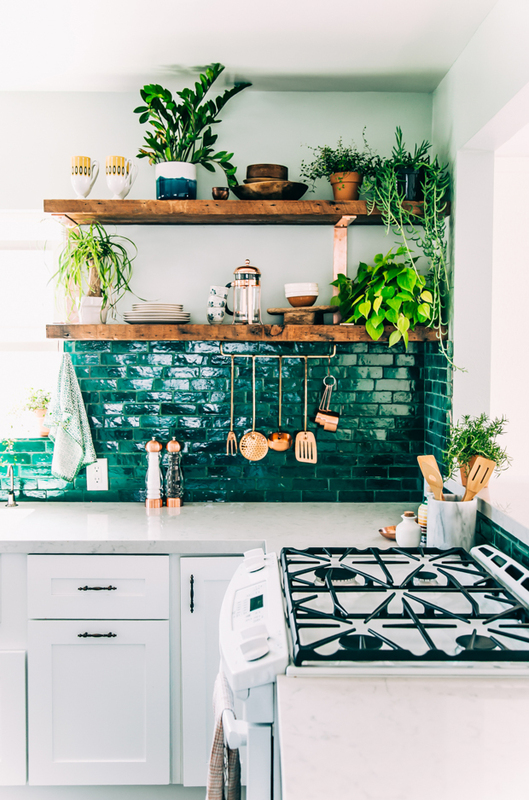 The more I look at other peoples kitchens taking on the mint / copper trend at the moment, the more I absolutely love it. If you scroll down, you’ll see that we’ve decided to go this colour scheme for the kitchen in our 6th renovation. Bright green is another kitchen colour scheme I really like. We’ve already started looking for our 7th renovation, and if the house is right I’ld ready like something nice and bright complemented with chrome. This bright green classic English style kitchen from deVOL Kitchens is not quite what I’m looking for in Spain but I love it too much not to share! I’m not sure about Cameron Diaz’s Manhattan apartment though. The brass splash back is lovely, but the space is so dark. It might work in our airy open space, though. 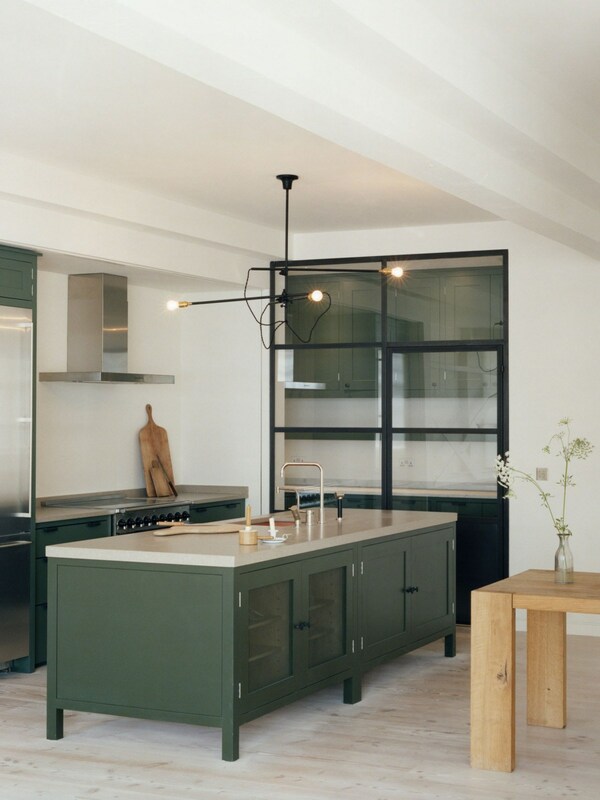 I do love this minimal dark green kitchen from I found on plainenglishdesign.co.uk. The more I see the industrial look, the more I like it! A green kitchen might be too big a step for some, what about a white kitchen with painted walls or coloured splash backs? That was one thing I considered when dreaming about my kitchen. White is neutral and always fashionable, and we could accessories depending on what is currently in fashion (especially if the house renovation takes a long time). 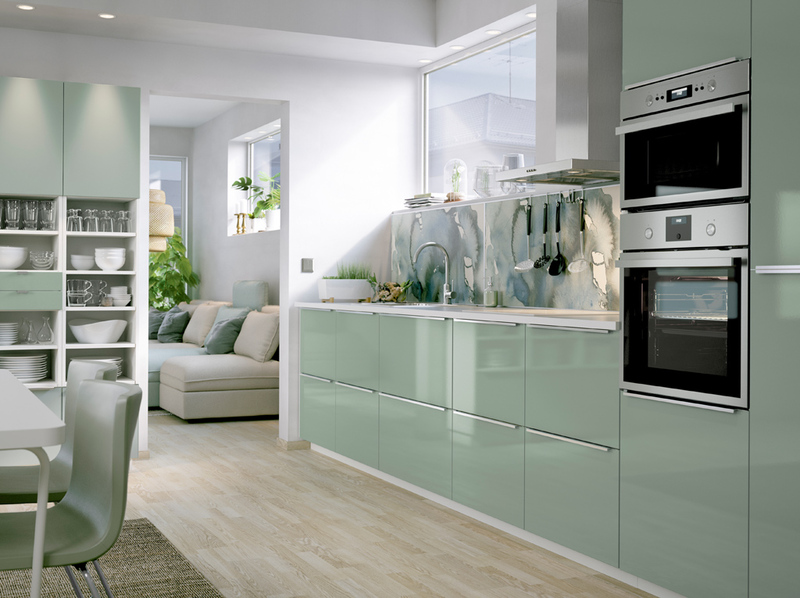 Im still game for green cabinets, but these white kitchens with green accent are probably better suited to smaller space. Love that copper is still making an appearance, though! The other day I decided to have a quick look on the Ikea website to see if their range of kitchens has been updated. Fortunately for me, they had, and as soon as I landed on the Ikea website homepage I got super excited. This new green kitchen range (KALLARP) has been designed and it’s pretty much EXACTLY what I want! Better still, it looks as though it’s being stocked in the Valencia Ikea store, so we wont need to cart it all the way to Spain. Im not 100% sure on the handles, but the splash back is very pretty (just put those implements in the draw – nobody needs to see that clutter). So, what do you think? Do you love Ikea’s new KALLARP kitchen as much as I do, or do you take my sisters view that its too straight lined and clinical (just how I like it). Or my Mum’s who says that the shiny doors are a no go? Let me know below – and make sign up to our blog to see how the kitchen turns out!